Join us Saturday, April 27 at 10 AM for the opening of James R. Bryant Dog Park! Bring your four-legged friends for some PAWsome fun! Join us Saturday, April 27 at 10 AM for the opening of James R. Bryant Dog... Learn More! Celebrate Earth Day at the Museum! This event includes a paper flower workshop, a guided tour of the garden and a hands-on planting workshop. This event includes a paper flower workshop, a guided tour of the garden and... Learn More! 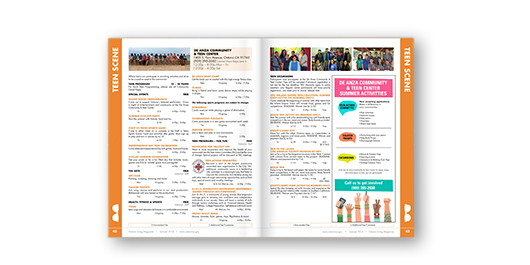 Check out the latest events happening around Ontario. 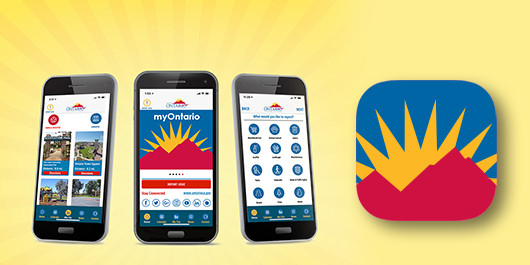 The City of Ontario has a "myOntario" Smart Phone application that allows residents with iPhones and Android phones to point, click and send photos of maintenance issues.